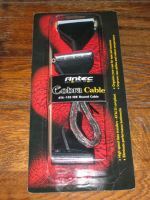 Antec recently launched their own line of rounded cables, the Antec Cobra Cables. Why did they call it Cobra? 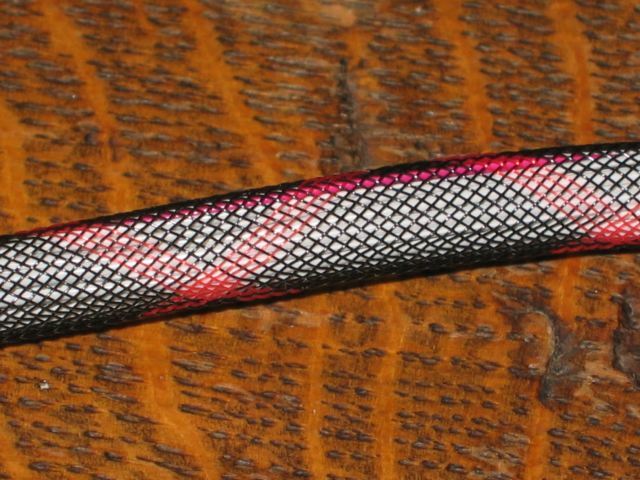 Well I guess that they named it Cobra because these cables are very flexible, and their black nylon mesh with red stripes really makes them look a bit like a snake. Why would you need rounded cables you ask? 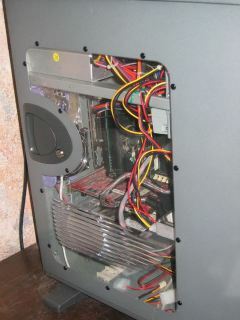 First it looks a lot better than the ugly bulky flat IDE cables, and second it improves the airflow in your case! Antec's Cobra Cables are designed to address two major performance-robbing issues which are often ignored: signal integrity, and heat. 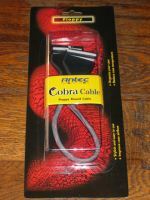 The cables came in this nice good looking boxes, even the box has a red snake pattern. Damn will we be putting snakes in our case? 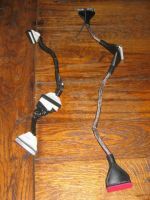 * Highly flexible 26" round cable (16" + 10") with two device connections, one motherboard connector. 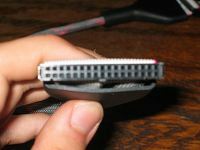 On the left you have the rounded IDE cable and on the right the rounded Floppy cable. I found it a little bit disappointing that the Floppy cable doesn't have a braided silver mesh shielding, not because my floppy drive would ever need that but because now the cables don't really fit for the full 100% with each other like you can see on the pictures. 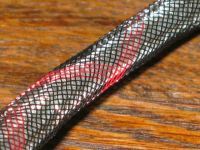 The IDE cable looks a lot kewler with the reflective silver mesh behind the nylon mesh. 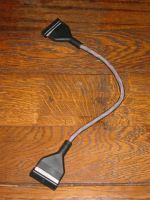 The IDE cable is a lot longer than the Floppy cable, the floppy cable is 16" (40,6cm) and the IDE cable is 26" (66cm)! 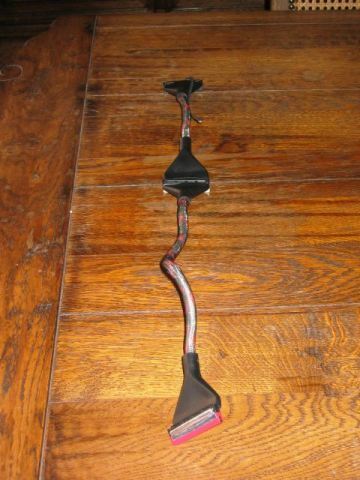 These are a lot longer than most standard flat IDE cables. 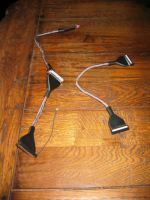 These are some pictures of the IDE cable. 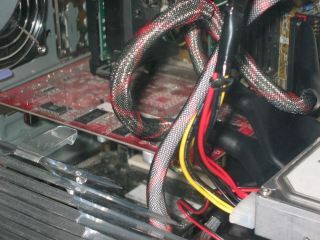 On the second picture you can see his red connector and the black protective boot cover. 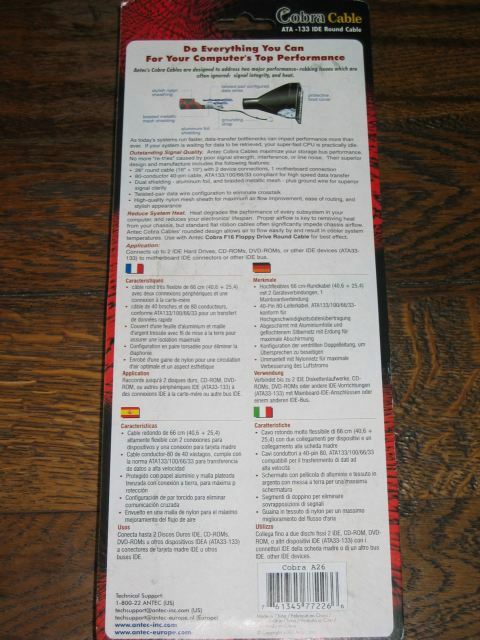 On the third you have the grounding strap. 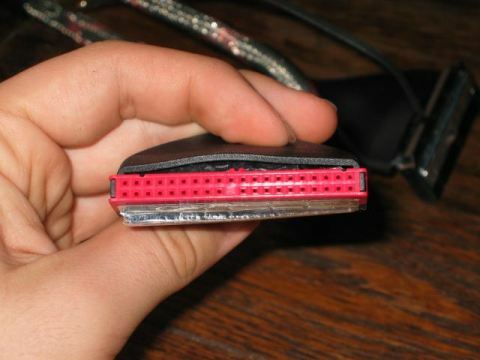 The IDE cable has 2 device connectors and one motherboard connector. 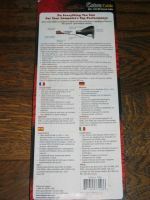 It's 26" (66cm) long, the first part is 10" (25,4cm) and the second part 16" (40,6cm). It has a dual shielding ; an aluminium foil and a braided metallic mesh + ground wire for superior signal clarity like Antec claims. 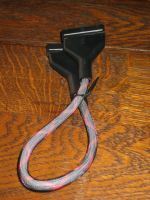 Also the data wires are twisted-paired to eliminate crosstalk. Here you can see the difference in looks, the IDE cable on the left looks a lot better thanks to the braided metallic mesh. 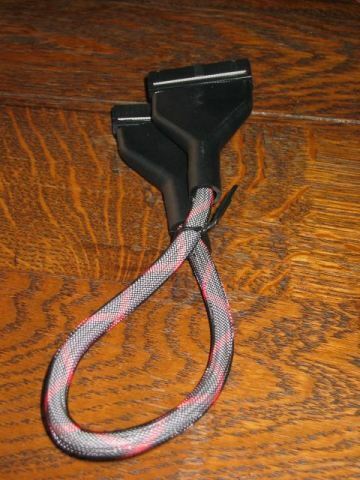 Antec claims that these cables provide a better performance than standard IDE cables. I performed the "File System Benchmark" from SiSoftware Sandra to find out if it's true. The tests were done on an old test system, and I know that most recent systems HDD will give results 7x higher than these but still it's interesting to see what these cables can do for an old system. I've runned the test three times, and I picked out the best results. We'll benchmark the difference between these two cables. The one on the left are standard IDE cables, which I have rounded myself a few months ago. 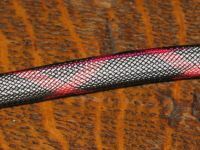 You can see that the Cobra Cables have a lot more style and look a lot more professional than the other one. 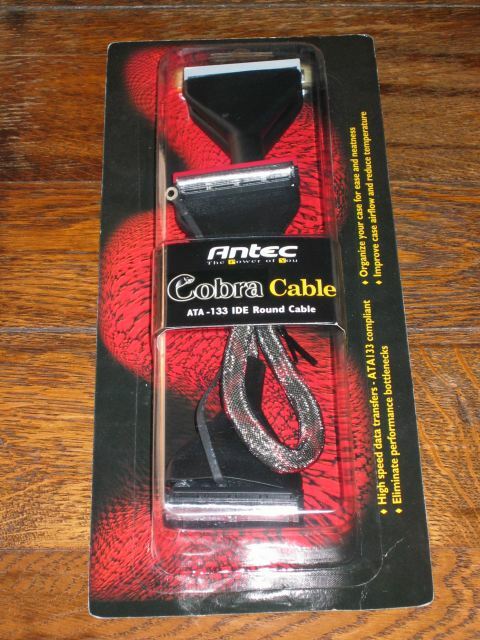 The standard cables gave me 3717KB/s, the Antec Cobra Cables gave 4074KB/s. That's a difference of almost 10%! 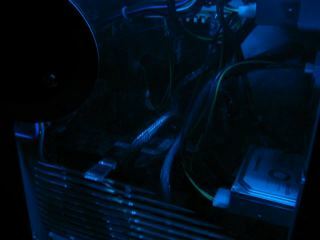 But to be honest I couldn't really notice any difference while I was working with the PC. 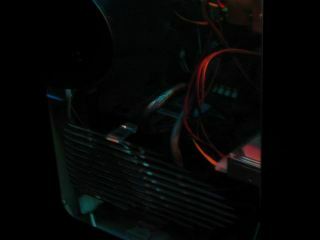 Temperatures didn't dropped dramaticaly, only 0.5°C less than normally with the self rounded cables. 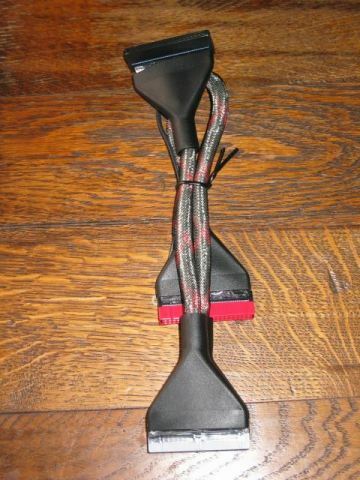 If you change from standard flat cables to the Cobra cables then the difference will be higher ofcourse. 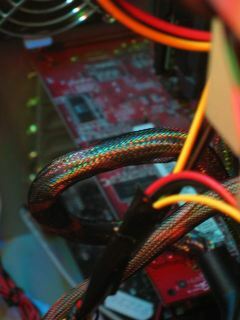 Overall I was very pleased with these 'Snakey' Cobra cables from Antec. 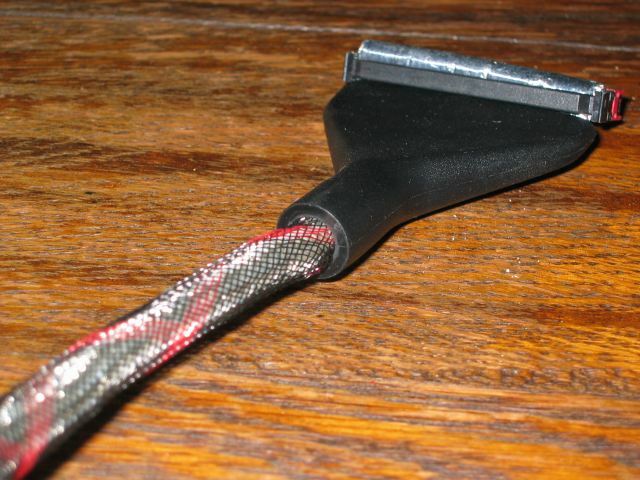 They look a lot more professional than standard ribbon IDE cables and even better than most other rounded cables. More important is that in the benchmark I performed I could see a difference of almost 10% against a standard flat IDE cable! 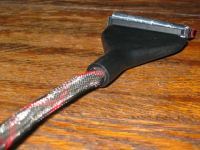 Prices : The IDE Cobra Cables costs $14.95 and the Floppy ones $9.95. - The protective boot covers make the cables a little bit less flexible. 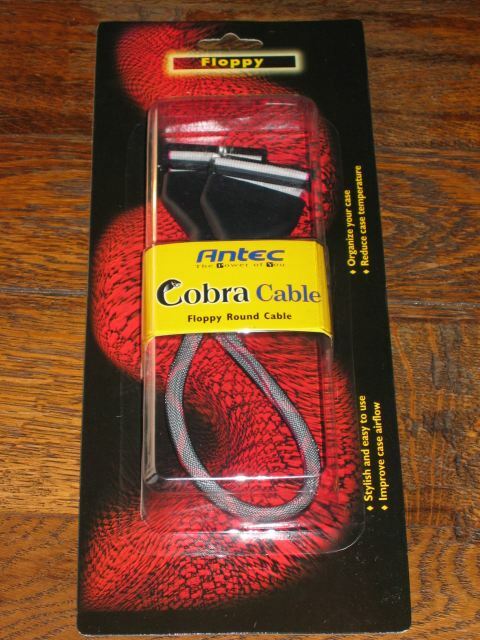 DV Hardware awards the Antec Cobra Cables with a 9/10! 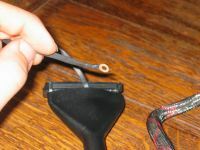 Typically, you can attach the grounding strap to a part of the chassis. Unfortunately, they are very short, so they are typically attached to the hard drive bay by screwing them into an open hole. 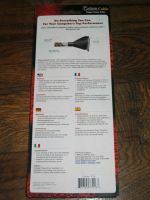 WARNING: Do NOT attatch to the hard drive! The problem is that the grounding strap causes a large amount of heat. 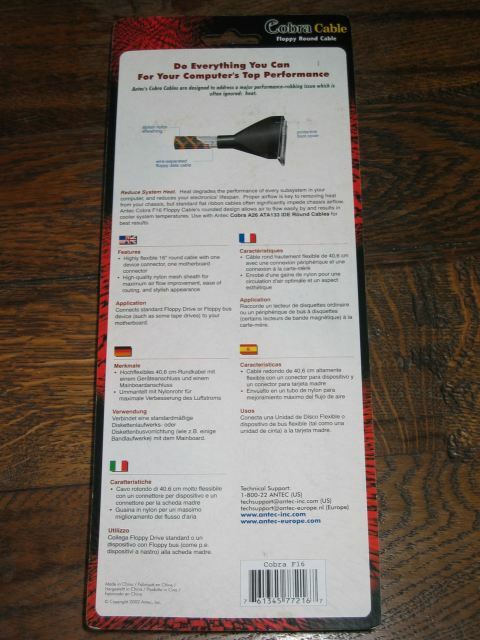 There also seems to be some electrical issues related to the grounding strap, as some shorting of hardware may occur. Where do you attach the grounding strap of the cobra IDE round cable? ?